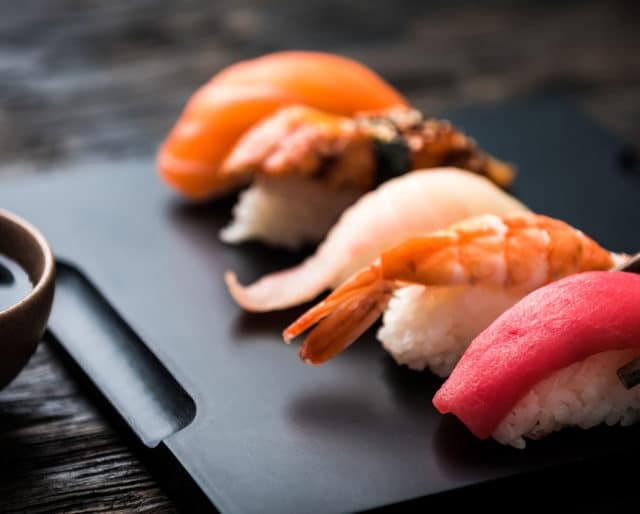 June 18th is International Sushi Day, and the first year it was celebrated was in 2009. International Sushi Day was created for one simple reason – to encourage all around the world to eat and love more sushi. Fun fact: Southeast Asians developed the original type of sushi, which consisted of fish wrapped in souring, fermenting rice. The dish then spread to southern China before reaching Japan. Pick one of the many ways to create sushi, go to your local fish market, grocery store to buy the ingredients, and handle business. Roll up that sushi with love! Pretty soon you’ll be a sushi-chef in no time. Bring a loved-one or friend to your favorite sushi joint, We’ll make the world a better place, one roll at a time. It’s that easy. Walk-in and enjoy your favorite rolls, or all you can eat portion at your desire. Looking to have your mind blown? The possibilities are endless as you create your own combination of seafood, vegetables, seasonings and sauces and have your sushi your own way. Mmmmm. It's difficult to get much healthier than raw fish and veg. The rice maybe isn’t the healthiest food in the world, but the carbs in it will give your body the energy it needs. If you’re looking to lose weight and stay in great shape then sushi is the way to go. You'll never get bored as there are a plethora of things you can choose with sushi. Even if you don't love everything on the menu you will find something that tastes great. For extra flavor and spice, use soy and wasabi to dip your your food in.